Miniature Maven Diaries: My review of a Scrapbooking video on crafttv.com which includes a giveaway for my followers! 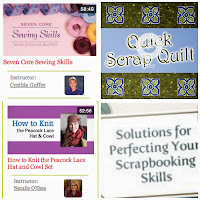 My review of a Scrapbooking video on crafttv.com which includes a giveaway for my followers! Several weeks ago I was contacted by a very nice man called Eric, who explained that he works for www.dailycraft.com. He offered me a free online Scrap booking class with the condition that I write a review on my blog. I was very excited when he said the daily craft website would include a giveaway prize to my followers. I have wanted to have a giveaway on my blog for quite some time, it has just not been possible up to now. I chose the video Design ideas for Scrap booking and Papercraft . The video is made up of 9 Chapters, with tutorials from 6 different ladies. The video is about an hour in length. Once you purchase a video is stays in your account, it will never expire. You can go back and refer to it as needed! The directions are easy to understand. I think many of my blog followers, especially those who enjoy paper craft, would enjoy the Design Ideas for Scrap booking and Paper Craft video. One technique from the video I watched explained how to use embossing powder and a matte spray to achieve the look of glass on the picture of a clock! This has many uses for us miniaturists. You could use it to mimic a window, miniature clock, or whatever else you dream up. The videos that you can purchase on the daily craft website are available internationally. Go to the daily craft website to view all the videos available. 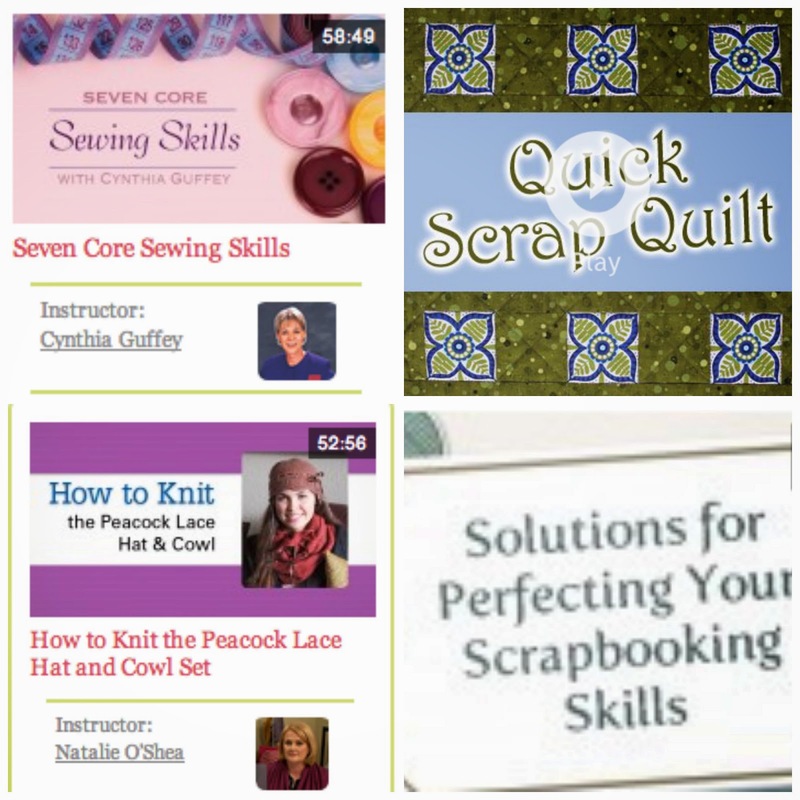 They have videos on quilting, sewing, crochet, knitting, scrap booking and paper craft. If you win, you can choose the video of your choice. Ok, let's get to the rules that will qualify you to be entered in this giveaway! Be a follower of this blog, via google friend connect, email, RRS feed or Networked Blogs. Optional but very much appreciated: if you have a blog, mention my giveaway on your blog or even better, include a picture of the giveaway on the sidebar of your blog. My lovely friend Jazzi of Jazzi's Minis has written an excellent tutorial on how to put a picture of the giveaway on your blog sidebar. I will use the random.org tool to choose a winner. I will be choosing a winner on June 27, one month from now. Good luck everyone! I think there are a lot of great videos on that site. Good luck! There are soo many things from scrap booking that can be used or converted into minis! My new fav is flower soft!!! I don't actually use my scrapbook paper, I just collect it..like a squirrel would. Some day I see myself swimming in a pile of it or using it as clothing. Well, now you're entered in the contest :P I'm not sure how many entries I'll get for this contest, because not all miniaturists would be interested, and even though it's available internationally, it is available only in English. Still, it was a good opportunity for me! Oh thanks Hannah! That's very sweet of you. Thank you for sending me the info and for following my little blog. I am not certain what I am supposed to post on my sidebar. Oh you don't have to post anything on your sidebar hun! That's just optional. Lots of bloggers do it, just to get others to enter the contest. Now that you've commented, you're entered! I don't think anyone eles will enter, but I promised Eric I'd give it another couple of days. Your blog is so cute! How lovely that you and your daughter are working on something together.